We’re collecting pocket change to make a difference! 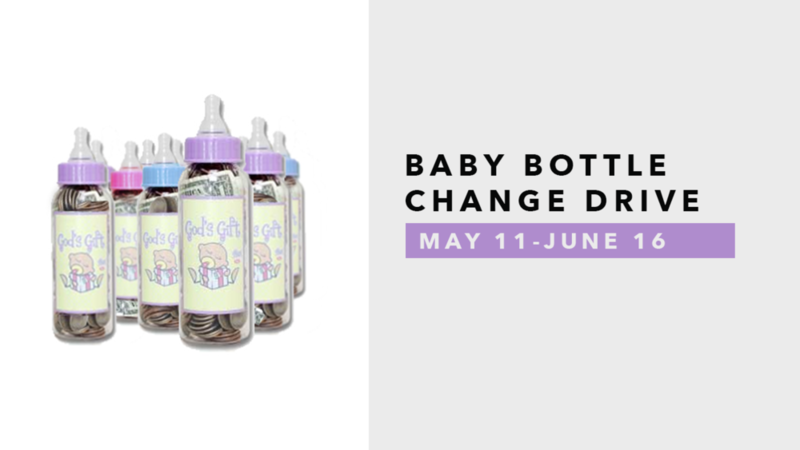 Pick up a baby bottle in the lobby and begin collecting coins on Mother's Day (weekend of May 11). Return the filled bottle by Father's Day (June 17). All donations will benefit the Coweta Pregnancy Center, a local ministry that assists women with unplanned pregnancies. *Baby bottles will be available in the lobbies of each campus beginning the weekend of May 11.